Choosing the most appropriate forex broker is possibly the most important decision any trader will have to make, and yet it is one of the most difficult decisions to get right, and one which many traders (both new and seasoned) often get wrong. Evidence of this can be found in the many forums which are littered with comments from unhappy, embittered and dissatisfied traders. However, such disappointments are avoidable, once traders understand that all brokers fall into a variety of classifications and categories and forex traders should select only those which match their trading style, and offer compatible forex trading strategies. 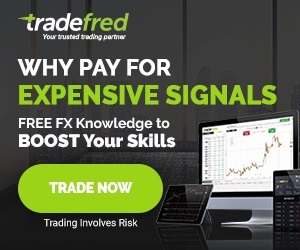 In my general introduction to trading, I offer a broker checklist for would be FX traders, which is still valid today despite the exponential growth in the number of brokers which have sprung up since the checklist was first produced. ECN stands for electronic communications network, and forex trading brokers who fall into this category will usually charge a small trading fee or commission, and in return will provide the forex trader with a marketplace where all its participants (banks, market makers and individual traders) can trade against each other by sending competing bids and offers into the system. Traders interact within the system, and should therefore obtain the best offers for their trades at any given time. In addition all orders are matched between counter parties in real time, but in order for a trading broker to be classified as a true ECN, the brokerage must display the DOM (Depth of Market) in a data window to show clients their own order size within the system and allow other clients to hit those orders. In other words, traders should be able to see the liquidity and execute trades accordingly. ECN brokers will always offer variable spreads and because they do not make their money on the spread between the bid and the ask, any trading style (including scalping) should be permitted. As outlined, because an ECN forex broker is compensated via the commission charge, in many ways it is the purest form of broker, as the brokerage can only make its money from commissions, and is therefore very keen for its clients to succeed. 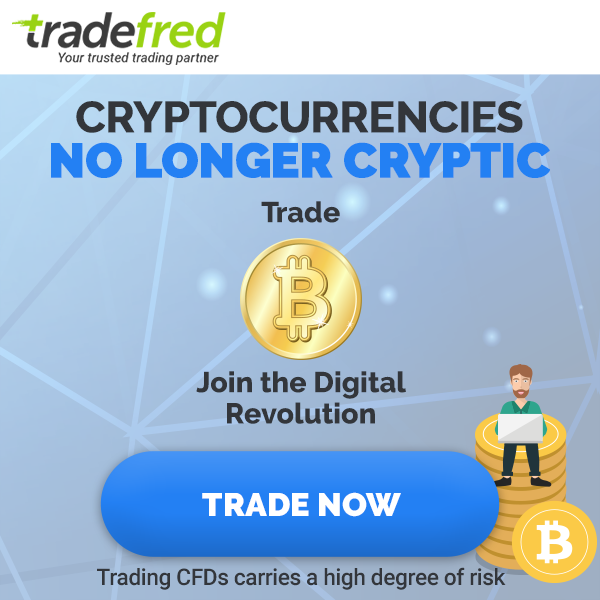 However, many new traders have been ‘sold’ on the benefit of ‘free’ trading, and fail to realise the advantages of paying a small commission in return for a transparent and fair trading environment. It is only when traders have experienced their stops being hit with ‘market spikes’ and irrational market moves against their positions, that these same traders begin to realise the benefits of a true ECN broker. STP (Straight Through Processing) brokers are often spoken of, as if they were ECN brokers, but this is not strictly true even though STP brokers do route their clients’ orders direct to their liquidity provider or providers. STP brokers may sometimes just have one liquidity provider, while others have several, which is always to the trader’s advantage as it ensures better fills. Direct access to the market and immediate execution of trades (without an intermediate dealer) is what defines the STP forex broker. However, unlike the ECN broker STP brokers make money from the spread or spread mark up and this can work in a number of ways. STP brokers route all their orders to their quote or liquidity providers which are of course the banks, with the STP broker acting as an interface between its clients and the banks. To complicate the situation further most of the banks are in fact market makers themselves and in fact offer the STP broker a fixed spread as a result. The STP therefore has two options in terms of providing a price quote to its clients. The first option is to pass the spreads through from its provider ( the bank) and offer fixed spreads. The second option is to offer a spread of zero, in other words no spread, and just allow the market to dictate the spreads which are then variable as dictated by order flow and general trading conditions. Now the question of course is how does an STP broker make money? Well, just like an ECN broker, they do not trade against you, so the STP broker will add a tiny margin ( percentage) of the bid price, and then deduct this from the ask price. All your orders are then sent to the bank or liquidity provider at the spread quoted, with the broker taking his profit from the mark up. In simple terms you can think of this in retailing terms, where the bank is a wholesaler, and the STP broker is a distributor, with prices marked up accordingly the further down the chain. Unfortunately, as most retail traders are at the bottom ( or top ) of the food chain ( depending on which way you look at it), they generally get the worst of everything, from spreads, malpractice and poor execution. A Non Dealing Desk or NDD broker undertakes to provide forex traders with access to the interbank market, without first passing the orders through the dealing desk. True NDD forex brokers will not re-quote on orders and not pause orders during volatile trading sessions such as the monthly Non Farm Payroll economic release In other words there is no restriction on trading. NDD brokers will either charge a commission for trading, or can choose to increase the spread offered and therefore make forex trading “free”. A Non Dealing Desk broker can also be an STP broker or even an ECN plusSTP. The principal advantages of using an NDD broker include transparency, better and faster fills as well as anonymity. Transparency means that a trader enters the true market instead of one specifically created for him or her. This almost always results in better fills and more competitive bids and offers. In addition with no dealing desk watching and waiting for orders to be filled, client orders are executed immediately and anonymously. Finally we have the market makers (or dealing desk) forex brokers who route client orders through their own dealing desk and quote fixed spreads. A dealing desk forex broker makes money via the spread as well as by trading against its clients. They are called market makers because they literally do “make a market” for traders – that is when traders want to sell, they buy and when traders want to buy, they sell – in other words they will always take the opposite side of the trade thereby creating the market. The humble FX trader will never see the real market prices, as these are required by the dealing desk in order to complete the fill. This lack of transparency and anonymity can cause forex traders many problems, especially in fast moving markets, when dealing brokers may not have time to offset their risk. The result is often slow execution of trades, re quotes and slippage. This is not to say that traders should always avoid dealing desk brokers so long as they are aware of the drawbacks & adjust their trading strategies accordingly. Once armed with this crucial information regarding forex brokers, traders still need to continue through their checklist and the next step is to check whether their preferred broker meets the minimum funding requirement laid down by the NFA. Fortunately for us this information can be found on the main CFTC website and is updated on a regular basis. The entire forex market, and the retail section in particular, is currently undergoing a major overhaul following the recent financial crisis with many new rules and restrictions being considered. One of the most crucial is a restriction on the level of leverage available to retail traders and one consequence of this new rule has been to increase the number of offshore forex brokers and in jurisdictions which may not always conform to a minimum standard. In addition citizens of certain countries are even forbidden to open accounts with such brokers. Perhaps in seeking to protect the retail trader the authorities may in fact be making traders more vulnerable to unscrupulous and dishonest brokers. Previous: Previous post: Will Trump’s Trade Policies Displace The Dollar?